Hello guys. 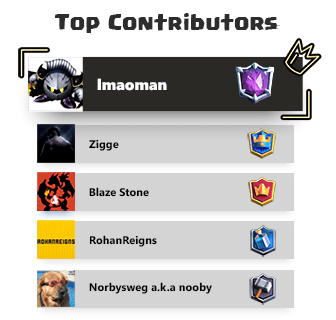 This is Bull3t$t0rm and I am so happy to be able to contribute to the community, here today with another strategy guide on Pekka miner control deck. This is not a deck that I came up with by sitting beneath a banyan tree doing [tapas]. I just took it up from a CWA video. For all those lazy butts, here is the disclaimer before going. Note:- I recommend reading Card description as I stated many important details. This is the ultimate defensive unit of this deck. Remember guys, always play Pekka reactive and not proactive in the lane the opponent plays his huge tank(Golem, Giant) and make sure you place Pekka in such a way that the battle happens in your side of your arena. This is the most important thing in any control deck you play. Only at equivalent levels can the P.E.K.K.A. kill Barbarians in one hit. This is useful to keep in mind if your opponent’s only counter to your P.E.K.K.A. is Barbarians. The main role of Pekka in this deck is to get value in defence (with the rise in mega knight its almost certain :p) and tank for the tower and other troops in offence while miner does its job. This combination is where the deck shines in double elixer since most of the time Pekka gets out of a successful defence with 60-70% health which poses a serious threat and demands a response from the opponent while miner+poison/log if needed will do the job. If you are going to make miner as the first move, place it in the anti-nado spot until we come to know whether he has nado or not. If you are going to couple miner with minions or doot or E-wiz, always send miner in the back. Why? Cause the opponent having let’s say fireball cant hit both miner and minions or doots or electro wizard. Switch miner placements continually making it difficult for your opponent to predict and avoid chip damage. If you are sending the Miner to an Arena Tower, sending the Miner on the center tile of the inner side will put him in the kill zone, allowing the other Arena Tower to target him. We can take this to our advantage. How? Assume we did more damage in the right lane than left and we are forced to place furnace in the left lane to defend or for some other reason(like our hand slipped while placing it on the right lane :p). Now we can pressure double lane by placing miner in the kill zone of the right tower along with minions forcing the opponent to defend both lanes as 2 fire spirits will end up doing 169*2 damage to left lane if unattended. For starters, Poison does more damage than fireball but over time. Some people here be like “Ugh…Ik so what?”. This is another reason as to why Poison synergizes well with the miner and VICE VERSA i.e. You can use miner to stall 1 or 2 glass canon inside poison to get full advantage of poison as well as use poison to take out squishy troops to get maximum value/chip damage from the miner. If the opponent pumps up in the anti-rocket position, I recommend playing miner on the tower and poisoning pump and tower rather than miner on the pump as both the tower attacks and it will also help to catch opponent predictive gob gang on pump or goblin with our poison. This deck being vulnerable to GY+arrows/poison deck, our poison can be used as a counter to the Graveyard, sharing almost similar duration. It covers most of its radius. However, some Skeletons will still do damage to the Arena Tower but then its better than losing a tower. As a cheap spell, The Log can be used to damage and push back multiple ground troops that come in your way, such as Barbarians or Goblins. The pushback mechanic is similar to the Fireball, but all troops are pushed back. 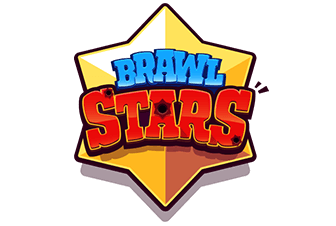 It can be used as a counter to the Goblin Barrel for a one Elixir advantage(Mannnn I hate to write the thing that everyone knows …. I need to write something about this so bear with me :p). If you are reading your opponents cycle and you know the opponent has goblin gang as a counter to our miner, send in a miner along with a predictive log to overwhelm your opponent. 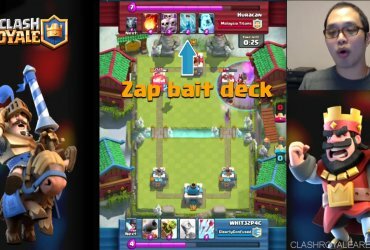 Electro wizard is such a versatile card which does so much…He has a spawn zap, and His every attack stuns the troops, he targets got air and ground and having a decent amount of damage. The only thing I hate about him is the fact that he is fast that renders him ineffective as an opening move but his defensive capability is outstanding and if he is alive after a successful defence sneak in a miner as it demands a response from the opponent as he does so much damage. With right timing electro wizard spawn zap can kill or damage(based on level)all goblins in a perfectly placed goblin barrel — overall such a great defensive unit which has great synergy with the miner. The Skeletons are most effectively used to distract and/or swarm slow-targeting and/or single-target, medium to high-hitpoint units, such as Giants and Princes. Don’t underestimate the mighty doots, paired along with miner **BOOM** we got a mini graveyard …just kidding. Even though the above combination is not a force to be reckoned with, it sure demands a response from the opponent. These doots can be used to protect furnace in this deck (which is of high importance…Will speak about it in Furnace or Gameplan) from a bandit, mini Pekka, barbarians, etc by stalling enemy troops till furnace spits 2 fire spirits that do the damage of a FIREBALL. Above all, it helps to cycle our deck fast in the end game to get that final miner+poison for the W.
Assume we have a furnace in our starting hand and we play it. This forces the opponent to make a move which makes it a perfect choice for control type deck since this deck focuses on successfully defending and then counter pushing with remaining troops along with miner to tank. It is also important to protect the furnace if we can as we protect the princess. Why? For starters, the Furnace can spawn up to 12 Fire Spirits over its lifetime in pairs of 2, 10 sec once, which would cost 8 Elixir to deploy manually. Not only that, if ignored one fire spirit end up jumping on the tower doing 169 damage @tournament standard. It goes extremely well with miner since the opponent can’t stop the miner with squishy troops as FS will end up damaging the tower +killing the squishy troop or they have to play something to soak up FS damage then play squishy troops on miner which will again force them to make a counter push which will create us an opportunity to place our Pekka and get value. After defending with PEKKA , Pekka + 2 fire spirits backing it up as a counter push while we play miner+ predictive log(This predictive log will work most of the time if they have squishy troop in rotation cause they can’t play squishy troop on Pekka as it is backed up by fire spirits and most of the time ppl will be hesitant to play log/zap on the 2 FS ) will pose a big threat as we went one step ahead of them playing a predictive log by exploiting the 2 FS generated from furnace. In the B-rad’s miner control deck or Tag’s miner control deck, we had inferno tower to deal with enemies lava hound or balloon without which minions gained an obvious choice in the deck due to its synergy with miner ,high DPS to take out loon ,fast attack speed for crowd control and most importantly can be used to kill a princess who is sniping our furnace. If you guys noticed, In all the card description except miner(ofc) I stated it goes well with the miner and this is this decks specialty. Every cards synergy with miner is insane. Aggressive Playstyle. i.e., Playing this deck as a chip cycle deck rather than a control deck. Believe me guys; it could cost you the game. Playing Pekka proactive. This is not acceptable with this deck. You can do this only when you are in the desperate situation like you lost a tower in the first minute or so and being a control deck player losing a tower in the first minute means game over. So in order to come back or atleast die trying you can do that but not when you can completely control the game and play safe. As I said in the Pekka’s description Do not play Pekka proactively even if you are in elixer advantage. If you are in elixer advantage go for miner+minions/poison/log based on your understanding of opponents decks(i.e if you know he is going to use glass cannon to defend our miner go for poison, if squishy troops go for log/ poison, if he doesn’t have air defence in rotation for minions. BUT DO NOT PLAY PEKKA EVEN IF YOU HAVE ELIXER ADVANTAGE. Why? Assume we played PEKKA @the back…seeing that opponent played Giant @the bridge on the other lane…We are left with either 2 spells and a glass cannon(e wiz) or 2 squishy troops(minions and Skellies) and 2 spells or something of this sorts… Assume we play minions+skellies to stop giant and there is a possibility of him playing arrows or fireball… The same goes to E-wiz + Minion/Skellies as well…The only thing E-wiz survives with a sliver of health. PEKKA WITHOUT BACK UP IS A SCRAP AND 90% of the time after such defence we won’t be having enough even for a miner. It is important to know your deck and know which card has to play proactively/reactively. In the first minute try to invest your elixer on furnace forcing your opponent to make a move and reveal his card which will allow you to play defence and counter push with miner for chip damage+knowledge of his card. 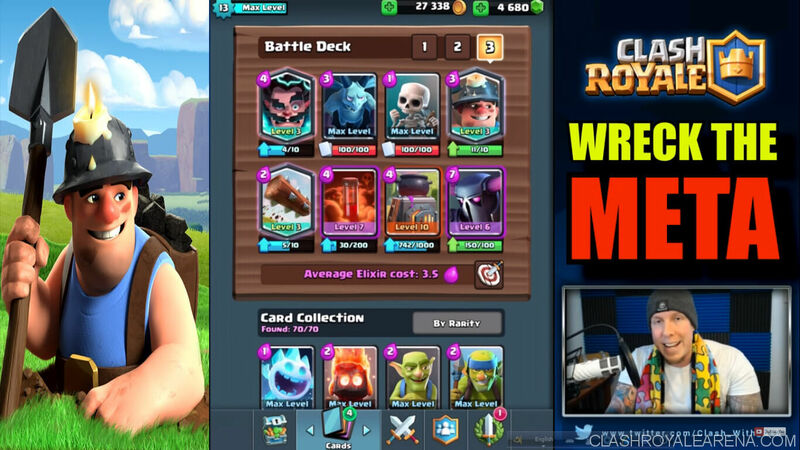 The knowledge that we gained in the first minute about opponents card and card rotation will allow us to make some clutch miner+predictive log/poison plays. This deck has so much defensive and counter-pushing capabilities being a control deck, allows us to defend any push if played right and slowing chipping away opponents tower. 2)Opponent pushed the lane in which we did more damage :- Then its gonna be easy..Go for miner after tower locked onto Pekka and as I said before if there are any FS backing up Pekka it would be great as well after a defence… then play poison/log if needed and based on the circumstances and it will be GG. Giving guide to common matchups is pointless IMO as even there is a small variation in the deck that opponent plays from that I mentioned in common matchup our play style should be completely different in order to hold our good as it is a miner chip control deck. So I recommend you guys to try this deck in friendly battle while sticking onto the basics I stated above + watching [the video] to get a feel about the deck. Hope you all enjoyed this deck guide.